MELVILLE, N.Y. – Today, Nikon Inc. introduced the AF-S NIKKOR 80-400mm f/4.5-5.6G ED VR, a versatile FX-format telephoto zoom lens designed to provide top-class performance and a long reach for a variety of shooting scenarios. Sporting a long 5x zoom range, the 80-400mm f/4.5-5.6G is capable of capturing vivid colors with exquisite sharpness, whether shooting stills or HD video. Ideal for sports and nature photography, the addition of the AF-S NIKKOR 80-400mm f/4.5-5.6G ED VR reaffirms Nikon’s commitment to providing a stable of lensing options for all types of photographers. Nikon’s newest telephoto zoom lens features a versatile 80-400mm focal length (5x zoom equivalent) that offers photographers a high-power FX-format lensing option to help capture stunning stills and HD video. Whether birding or shooting from the stands, the lens is also compatible with DX-format bodies to extend the maximum reach to 120-600mm (35mm equivalent). Additionally, alongside a 1.4x teleconverter, the lens can be expanded to an f/8 aperture to retain compatibility with the AF system on the most recent Nikon D-SLR cameras. 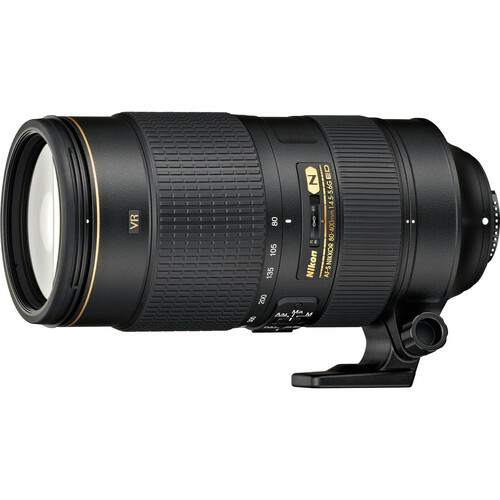 The AF-S NIKKOR 80-400mm f/4.5-5.6G ED VR will be available in early April 2013 for a suggested retail price (SRP) of $2,699.95. * For more information on these and other NIKKOR lenses as well as other Nikon products, please visit www.nikonusa.com. MELVILLE, N.Y. – Today, Nikon Inc. announced two new advanced performance COOLPIX cameras, built for the customer seeking the best image quality possible with the convenience and ease-of-use of a compact camera. The Nikon COOLPIX A is the first COOLPIX to incorporate a DX-format sensor, similar to those found in many of Nikon’s coveted D-SLRs, which provides the highest image quality possible from a compact point-and-shoot. Additionally, the small yet powerful COOLPIX P330 fits comfortably into a shirt pocket, yet gives users the confidence to capture beautiful imagery through amazing optics, low-light capabilities and creative control. For those who never settle for second best, this new duo presents the optimal choice to consistently capture high-quality images and HD video with outstanding clarity and detail. Thanks to their exceptional CMOS imaging sensors and world-class NIKKOR lenses, these cameras deliver brilliant photos amidst the action, even in low-light conditions. With compact designs and advanced feature sets that allow users to easily grow and improve their image or video shooting skills, these new COOLPIX cameras provide creative control and connectivity options for the photographer in everyone. These new cameras also join the ultra-zoom COOLPIX P520 and performance powerhouse COOLPIX P7700 in Nikon’s series of COOLPIX Advanced Performance cameras. Once a still or video has been captured, both cameras let users share images instantly with family and friends when connected using the optional WU-1a Wireless Mobile Adapter1. This accessory pairs with the free downloadable Wireless Mobile Utility application1, which enables users to transfer their images and videos to compatible smart devices and tablets for easy sharing and viewing with others. Unlike any other COOLPIX camera, the new COOLPIX A is equipped with a DX-format CMOS sensor that enables users to achieve superior image quality previously only possible with a Nikon D-SLR. The combination of this 16.2-megapixel DX-format sensor and ultra-sharp prime NIKKOR lens firmly positions the COOLPIX A as the reigning flagship camera in the COOLPIX line. The all-glass 18.5mm (28mm equivalent) prime lens has an f/2.8 aperture, allowing users to shoot with a shallow depth of field to blur backgrounds for professional-looking photos. Even when the sun goes down, the lens offers the ability to turn a fleeting glance into a flattering moonlit portrait with just a press of the shutter. Always ready for the spontaneous moment, the camera’s quick AF performance and 4 frames-per-second (fps) burst help users to consistently capture any moment with outstanding image quality. For those who want to push their photography skills, the versatile COOLPIX A also offers advanced settings to allow shooters to have complete creative control to master nearly any shooting situation. 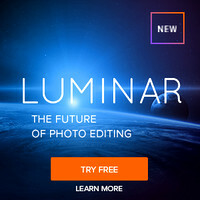 With multiple Scene Modes, a familiar manual focus ring, full manual exposure controls (P,S,A,M), and the ability to shoot RAW/NEF image files, even a simple snapshot can be transformed into artistic expression. Additionally, the COOLPIX A offers a variety of accessories to enhance the shooting experience, including the DF-CP1 Optical Viewfinder, the UR-E24 Adapter Ring for attaching lens hoods and filters, and the HN-CP18 metal Lens Hood, which helps protect the surface of the lens and restricts light from passing through without negatively influencing images. The camera also has a full size hot shoe port that makes the camera compatible with various accessories such as Nikon Speedlights. The COOLPIX P330 offers a useful 5x wide angle to telephoto (24mm-120mm, 35mm equivalent) zoom and cutting-edge features in a sleek, portable design for exceptional images and HD video. The P330 has a 1/1.7-inch, 12.2-megapixel backside illuminated (BSI) CMOS sensor that offers users the ability to confidently capture vibrant photos with low noise. Additionally, the super-sharp f/1.8 lens is the fastest in the COOLPIX line, rendering photos and Full HD 1080p video with striking clarity in a variety of lighting conditions. The lens also includes Vibration Reduction image stabilization to further reduce the effects of image blur when shooting handheld. Designed for the user who wants a sophisticated camera with the option of an advanced feature set, the COOLPIX P330 includes manual controls (P,S,A,M) and can now capture NRW/RAW images. The P330 also enables users to enhance their photography with the inclusion of various Scene Modes, as well as Nikon’s Easy Auto Mode for capturing beautiful imagery during scenic vacations, celebrations or everyday moments, all with the convenience of a small, portable size. Additionally, the camera incorporates Full HD Video with stereo sound, engaged with just a simple press of the dedicated video record button. This high-performance camera also comes with built-in GPS capabilities so photographers can easily log even their most exotic travels by pinpointing the exact latitude and longitude where the image was captured. The COOLPIX A will be available in March 2013 for a suggested retail price (SRP) of $1099.95* and will be offered in Black and Silver. The DF-CP1 Optical Viewfinder will be available for a suggested retail price of $449.96*, and the UR-E24 Adapter Ring and HN-CP18 Lens Hood will be sold together for a suggested retail price (SRP) of $129.96*; accessories will be available in March 2013. The COOLPIX P330 will also be available in March 2013 for a suggested retail price (SRP) of $379.95* and will be offered in Black and White. In order to give consumers a more effective way to understand the benefits of each COOLPIX camera and to help users determine the best camera to fit their lifestyle, Nikon has segmented the COOLPIX series into five categories: Advanced Performance, Fun & Innovative, Ultra-Slim Zoom, Comfort Long Zoom and Budget Friendly. 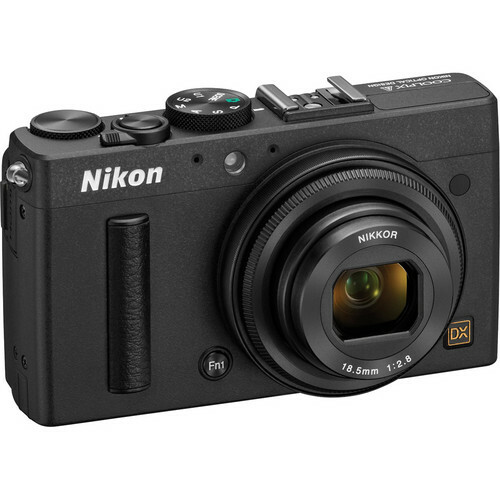 For more information about these and other COOLPIX cameras, please visit www.nikonusa.com. You can pre-order the Nikon AF-S NIKKOR 80-400mm f/4.5-5.6G ED VR Lens using these links at B&H and Adorama and the Nikon COOLPIX A Digital Camera using these links at B&H and Adorama. 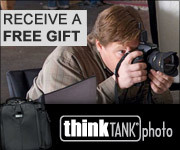 Screaming B&H Deals & New Cameras IN STOCK! 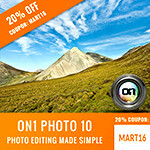 Fujifilm X-E1 Bundle Special - Save 913.85!! !